Here's a grand story from the family archives - the time our Pop, Tony Jeffrey, made a bouquet of Cattleya orchids for the Queen of England! It was 1954 and the flowers were presented to her at the Lord Mayor's Ball in Sydney. The orchids were flown in from Queensland especially for her Majesty, Dad remembers that they were lovely and light for her to carry. Pop blew his own trumpet about this for years - he even wrote on his business cards for the florist 'We pleased Her Majesty, surely we can please you'. Classic! 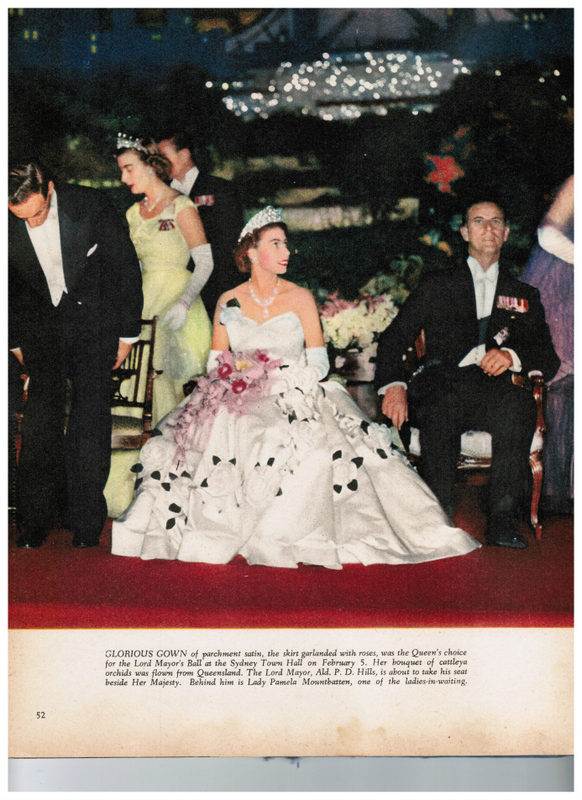 Newspapers from the day recount how it was so miserably humid that night the exhausted Queen 'did not dance and looked thoroughly unhappy' staying only 40 minutes at the function. Oh dear!